BRINGING SKATE SHARPENING TO A NEW LEVEL! Skate Sharpeners tend to give deep hollows to compensate for uneven, misaligned or non-profiled skates. Good skate sharpeners may be able to give you a level sharpening. Will give you a consistent level sharpening, will not unnecessarily erode the blade away and have working knowledge of how the skate and skater interacts with the ice. Visit a Maximum Edge Member near you. 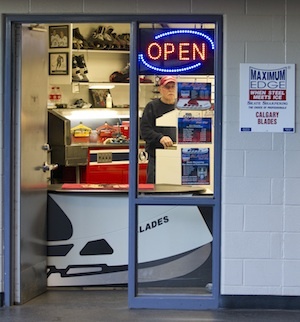 Blades Skate Shop is a member of Maximum Edge which is truly a professional skate sharpening and profiling service that will increase performance as well as reduce the risk of injuries. 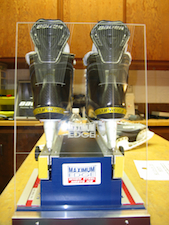 Maximum Edge is a skate sharpening supplier to the NHL including on-ice officials.